If you're a player that wants a guitar that can cover all kinds of gigs, this is the one for you. 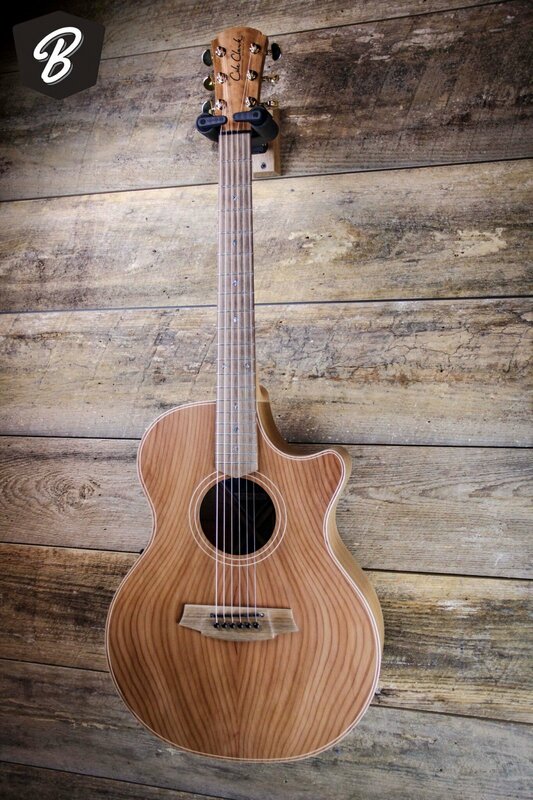 The Grand Auditorium body shape is appropriate for both fingerstyle players and heavier strummers. This Redwood top is softer, with shorter wood fibers than Bunya or Spruce. The result is a guitar that is warmer overall, with a beautiful touch sensitivity. The Australian Blackwood back and sides is both visually stunning and perfectly balanced.